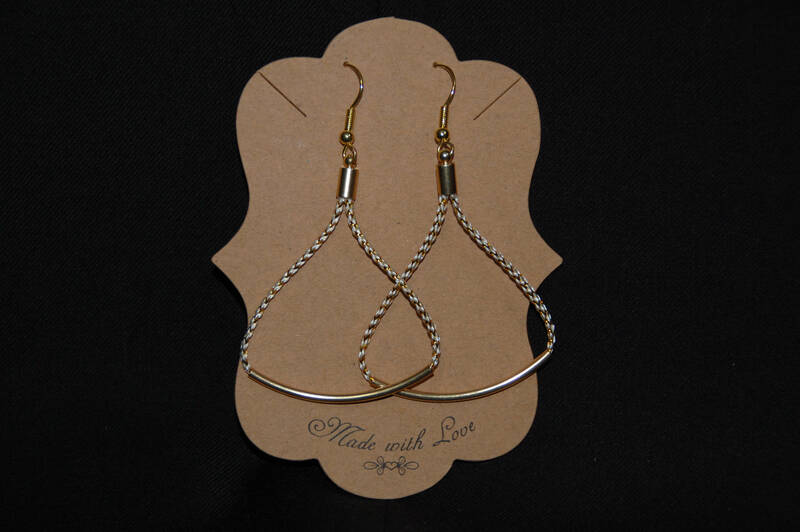 This is a pair of rope earrings with gold or silver to compliment the Slim Necklace or anything else you happen to be wearing. 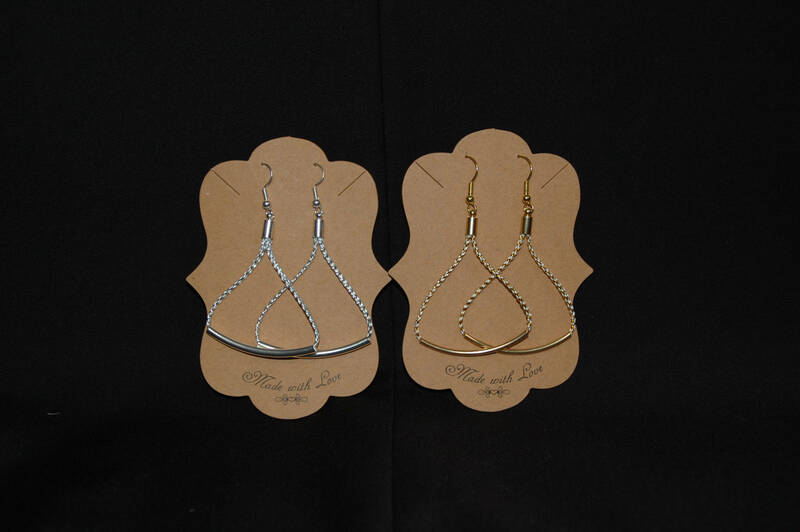 These earrings are lightweight and very versitile. 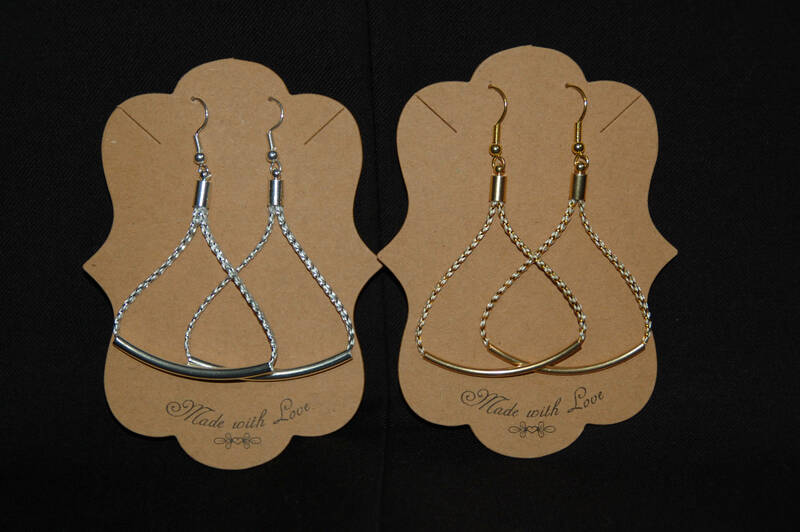 You can even mix and match your pair of earrings! Choose from gold/white rope with gold metal or gold/white rope with silver metal. Do the same with silver/white rope! 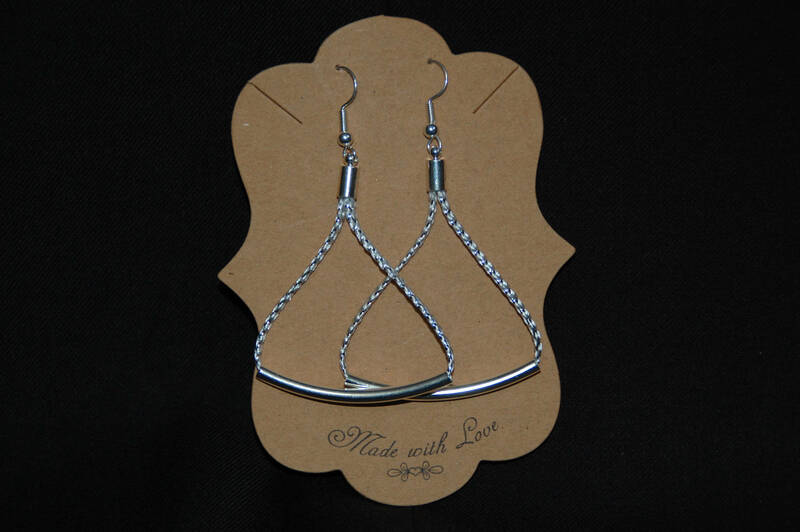 The overall length of the earrings is approximately 2.5 inches and the overall width of the earrings is 1.5 inches.